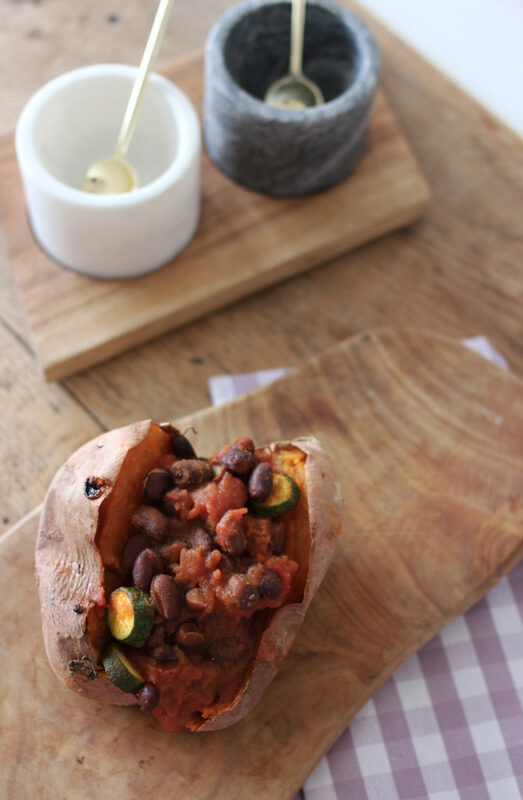 I’m back with my second dish for International Sweet Potato Week, and for this dish I created a main course meal. 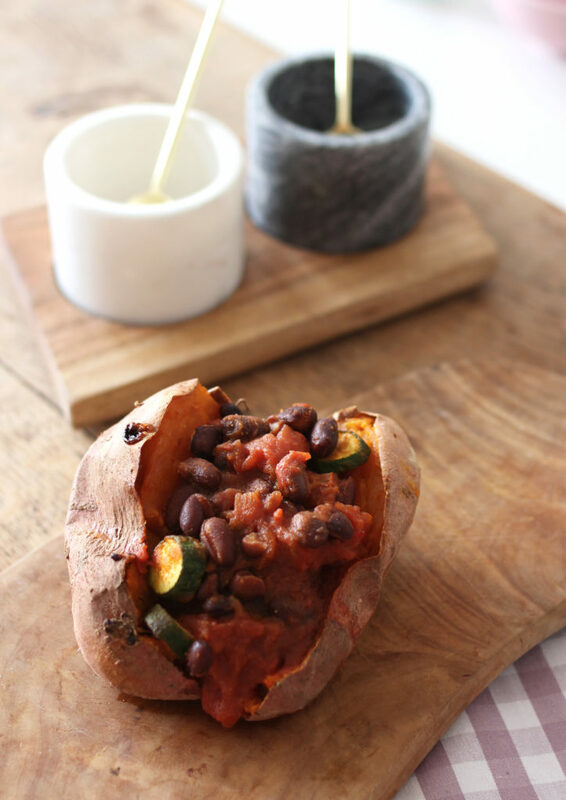 This is a really simple dinner or lunch recipe you can make for yourself or friends! It is full of flavour but also really healthy and filling. You can pair this potato dish with some different mezze, roasted vegetables, salad, hummus, or anything else you’d like. I hope you enjoy the recipe! 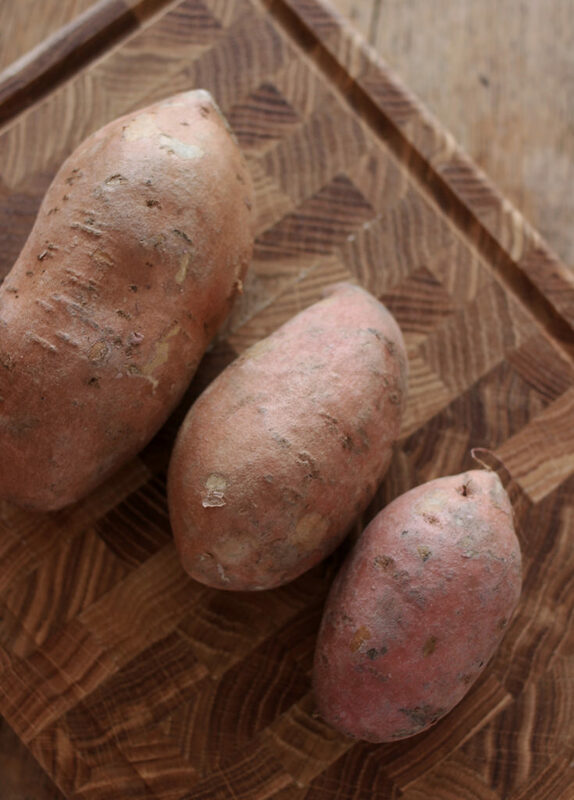 Pierce the sweet potatoes and add them into the oven to bake for about 40 minutes. After 20 minutes have passed, prepare the stuffing. Place a large pan onto a medium heat and add in the oil, curry powder, chilli powder and salt. Stir together for about 1 minute. Then, slice the courgette and add it to the oil mixture. Fry for about 2-3 minutes. Next, add in the chopped tomatoes, black beans and agave nectar. Stir everything together until well mixed, and allow the sauce to simmer over the next 15 minutes, stirring occasionally so that the sauce can thicken and flavours develop. When the potatoes have cooked, remove them from the oven and then slice them down the middle. Remove the stuffing mixture from the pan and spoon half of it onto the middles of each potato. Then, press the sweet potatoes together to hold the stuffing. Place the potatoes back onto a tray and into the oven for a final 5-10 minutes. Once this is done, remove the potatoes from the oven and serve. Simple, satisfying and very delicious! Have a wonderful weekend, Harriet. thank you so much Angie! 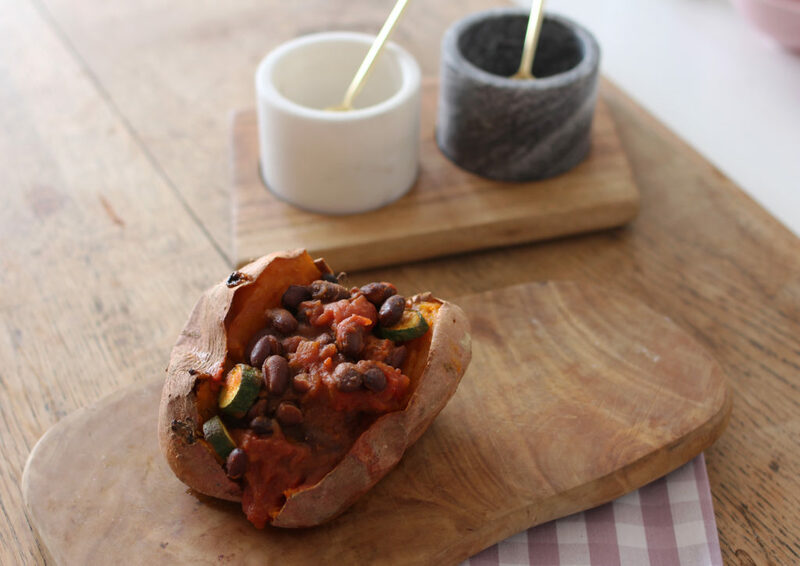 This sweet potato looks super yummy, exactly how I like to stuff mine!